Below is a list of Indiana private country clubs, semi-private and public golf courses offering membership and actively seeking new members. - Packs May Not Be Split. 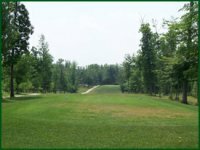 Visit our website at http://www.rockhollowgolf.com/course/memberships to see information regarding memberships. Senior 55 years of age is $1000.00. Unlimited golf Sunday-Thursday. Includes Green Fees, Cart Fee & Driving Range. Regular membership under age 55 is $1300.00. Unlimited golf Sunday-Friday. Includes Green Fees, Cart Fee & Driving Range. Add a guest to your membership for $700.00. Kids (K-12) - $100.00 If parent is a member. Full, Senior, and Student memberships available. Traditional and limited memberships available. Special Membership Rates!! Call for details or visit website. With our new membership plan, members are being paid for the guest rounds they host. This has made it possible to be a member of Golf Club of the Limberlost for free! The new all inclusive Founders Membership starts at $1500. Monthly food minimum required for all membership categories. $2,000 initiation fee is currently waived for incoming members. Memberships are available. Please contact John Horner at John@hillcrest-gcc.com for membership information. Our social memberships include the opportunity to play golf 6 times per year at a reduced green fee rate. 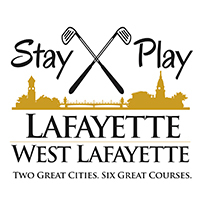 For more details about our membership categories, or to schedule a tour of our facilities, please visit our website www.indianlakecc.com or contact our Director of Golf, PGA Professional and General Manager, Kyle Brunnemer, at 317-823-6552. We look forward to welcoming you to our ILCC Family! Membership packages available to fit your needs. Contact Ashely Davidson for information on the plan that fits your needs best. Watch for our 2015 Membership rates soon on here and on our website. For Golf League Members Only ! On days other than League the League Special entitles the Member to golf with no green fee but the Member must pay for Golf Cart Rental.